Between 2007 and 2012, over 800 people have been killed by drunk driving during Labor Day weekend, an average of 167 people per year. 10,000 people die every year in drunk driving incidents. 211 children were killed by drunk drivers in 2011, 131 of which were passengers of a drunk driver. 27 people die every day in a drunk driving crash. There is some good news, however. The number of drunk driving-related deaths in the United States has fallen by half since 1980, and with the continued efforts of law enforcement and the education of drivers throughout the country, that number can continue to go down. This was the motivation behind the “Drive Sober or Get Pulled Over” campaign, which ran this summer from August 16th through September 2nd. 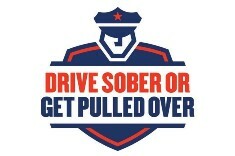 During the campaign, law enforcement at both the state and local levels increased their vigilance against drunk drivers. Share links and information on Facebook and other social networks. Print posters that can be placed in dorms, apartments, in bars, and more. Use personal icons on Facebook that remind others to stay sober behind the wheel. Take a personal pledge, and encouraging others to do the same. With the “Drive Sober or Get Pulled Over” campaign, law enforcement and traffic safety officials send a clear message that safety on the road requires the active participation and encouragement of the people that this issue affects the most: anyone who is behind the wheel. So how did Georgia do this year? Well, we could have done better. For example, there were 14 fatalities this year over the actual Labor Day weekend, up from 13 last year. So there is still some work ahead. And in fact, there is a “Drive Sober or Get Pulled Over” campaign planned for the winter holidays from December 13th to January 1st, another period that tends to have a high number of drunk driving fatalities. it’s important to remember that death doesn’t take a day off. Law enforcement is doing its part with more enforcement and public outreach. Now it is up to us to practice safe driving habits, avoid driving while intoxicated or allow friends and family to drive under the influence. With dedication and care for one another, perhaps the rate of fatalities can be cut in half every year, instead of every two decades.